Rooms and Apartments Sweet Dreams feature stunning view over Old Town with a terrace to relax at night or just chill around during the day. 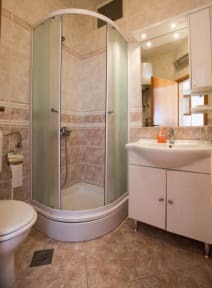 Includes studio apartments (double bed 2 people people 1 single bed, 1 room double bed 1 room double bed with kitchen wi-fi private bathroom. The location is one of the best in Old Town because when You come back for beach, sightseeing or dinner one of the most amazing views will present to You from our property which is really a rare thing in Old Town. Check in 14- 10Check out before 07 -10:00 . The place is great ! The location is just perfect : in the old town , near the walls. Very clean. The host is really welcoming ! I stayed in a private dorm which had a beautiful view of the Old Town. Air conditioner and fridge in room worked well, bathroom and room were super clean and the owner Luci is the best. She’s really helpful and friendly and ran me through all the good places to eat and drink. Would definitely stay again! Monica was brilliant. She waited for us to arrive and then made us feel extremely welcome into her apartment. She sat down with us and explained the local area and gave us lots of great tips for where to get coffee, ATM, buses etc. Her apartment was just what we needed - a bit of space and some cold air con!! The location is perfect. Although there are quite some stairs to walk up (welcome to Dubrovnik old town!) it is well and truly worth it. The lady who let me in could not have been more helpful. The hostel is in a perfect location just inside the old town and there is a fabulous little restaurant right next door. I would highly recommend this hostel. 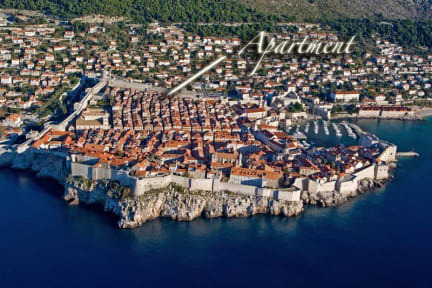 Great place to stay in Dubrovnik. The suite is great. Easy to locate. Easy to get to main area without steps. Full kitchen. Nice terrace. Close to supermarket. Very quiet. Excellent host. You won't regret booking at Sweet Dreams. Everything was amazing, Lucy went above and beyond for us, and we felt so welcome. It's on the edge of the walls so it's nice and quiet. Felt very secure and everything was Spick and span. Lucy is a hard worker who really looks after her guests, can't recommend enough! I thought that the location was fantastic; right in the heart of the old town, close to the main attractions and eating places. Luci, the owner, was very helpful and welcoming and gave us lots of tips on what to see and do. We stayed in the 1-bed studio which I think was dated and could do with being modernised but suitable as a base to explore Dubrovnik. It had a nice bathroom and kitchenette and also had heating, which we needed in November.